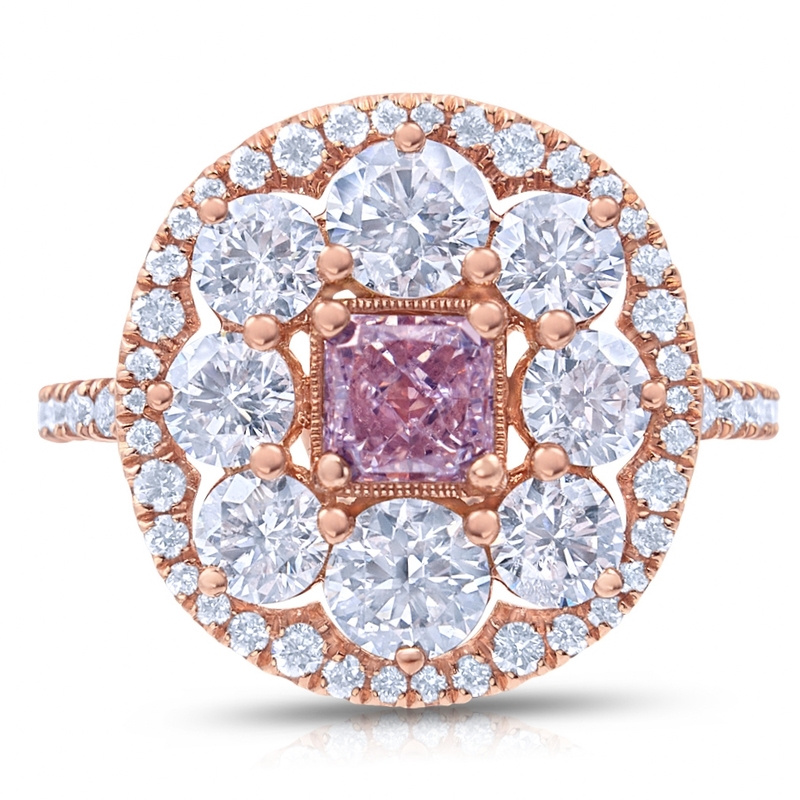 Radiant cut pink diamond set in a truly unique floral setting. 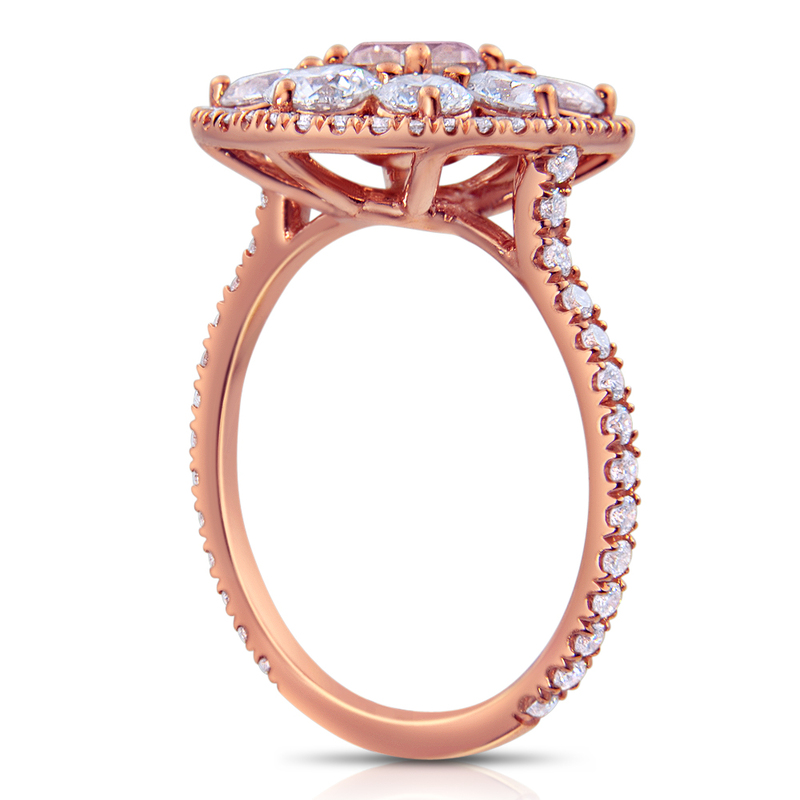 This design features over two carats of round brilliant accent diamonds carefully set in rose gold. 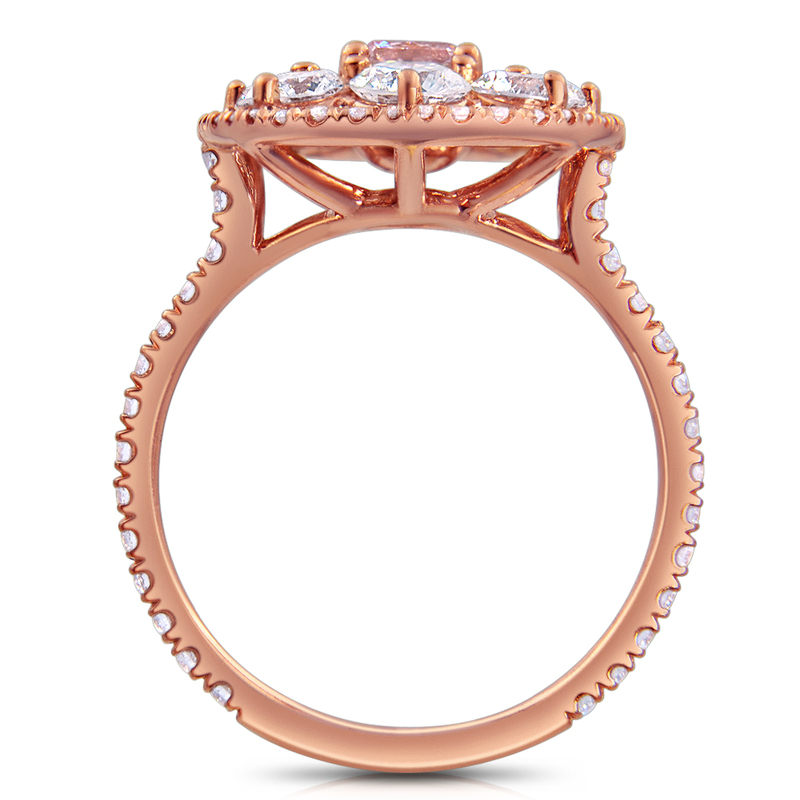 The setting features a cathedral style shank with a narrow band and u-pave set accent diamonds.